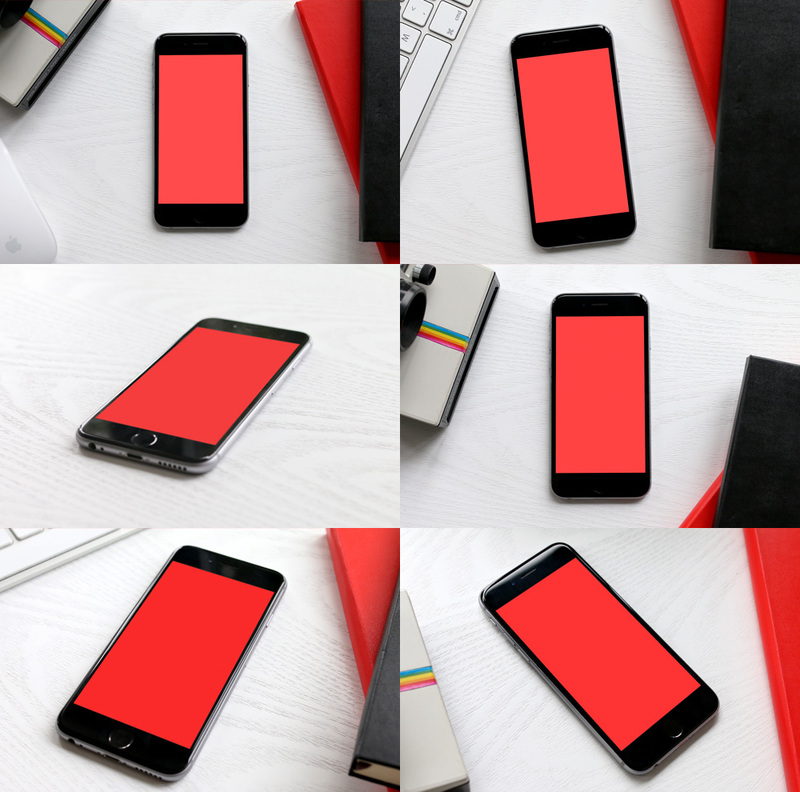 Today’s freebie is a set of 6 iPhone 6 photo mockups. Perfect for presenting your app, theme or website is a realistic manner. View the full preview to see the different mockups. Each file is 4000px x 2666px (at 300dpi). To replace the screen, double click the smart object layer to open the .psb file. Replace the contents with your screenshot, save, the mockup will update automatically. Enjoy! Thank you! Just FYI: You would probably be better off sharing them some other way than through your site, you must be racking up quite the bandwidth usage. And my download stopped about 1/3 of the way through. If you have a paid Dropbox account, thats probably the easiest way to share it (Bandwidth limit of 250 GB per day), or you could use S3. I guess BitTorrent might work too, but that might be harder for some people to understand how to use if they don’t already have a BitTorrent client. Mind you, I have a paid Dropbox account, so if you want to borrow it for a while to share this file let me know. Thank you Orman! Much appropriated! Awesome freebie pack, feel thankful to you for sharing this fabulous mockup. As a designer its very useful for me, great work and effort.. Tons of Thanks!!! !